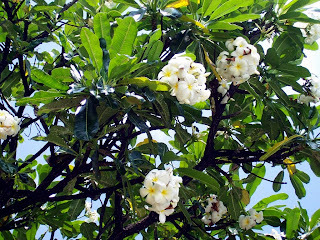 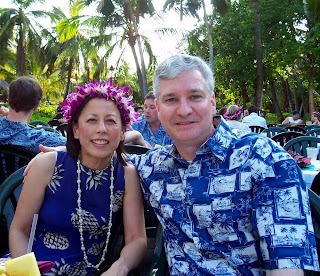 Catherine and I went to the Island of Hawai'i, also known as the "Big Island". 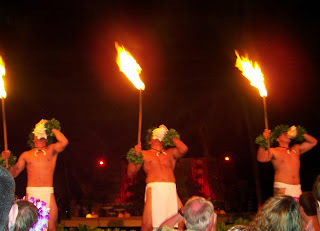 Hawai'i is said to have been named for Hawai'iloa, the legendary Polynesian navigator who first discovered it. 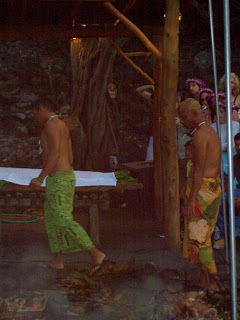 However, other accounts attribute the name to the legendary land or realm of Hawaiki, a place from which the Polynesians originated, the place where they go in the afterlife, the realm of the gods. 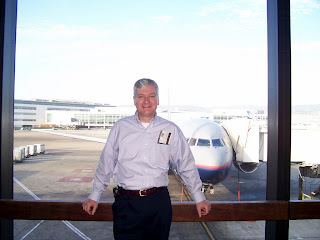 At San Francisco airport waiting to board our flight to Hawaii. 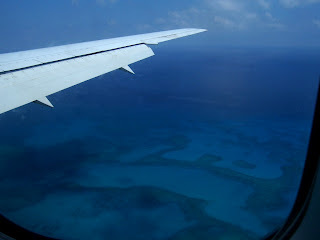 Photos from our plane before we landed. 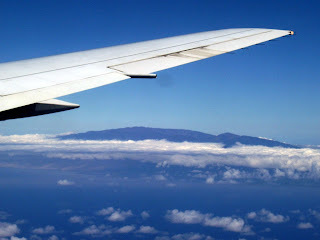 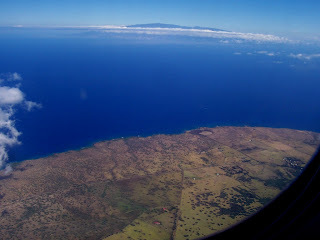 In the background (at the top of the photo)you can see the volcano Haleakala, on the Hawaiian island of Maui and at the botton is the Island of Hawai'i. 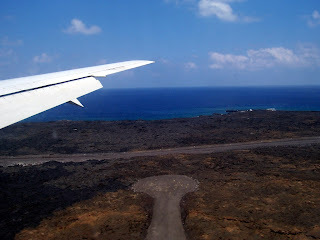 In this photo, you can see some of the volcanic rock surrounding the Kona International Airport. 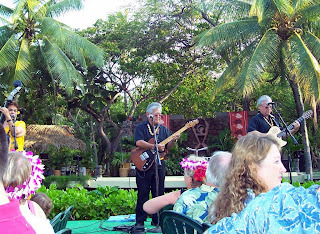 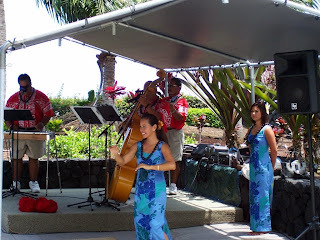 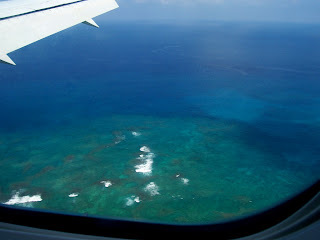 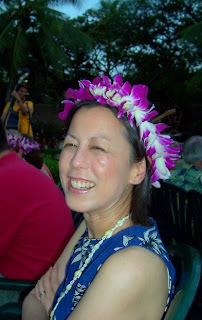 When we landed at the Kona airport, we were greeted by Hawaiian music and hula dancers. 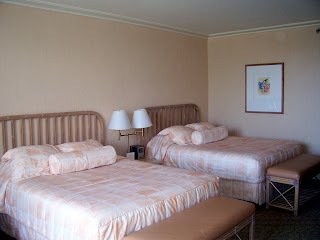 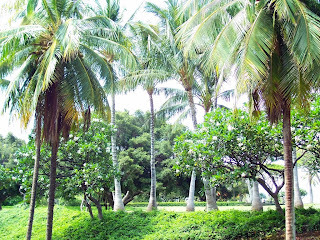 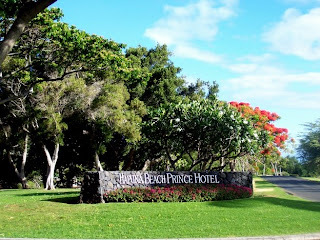 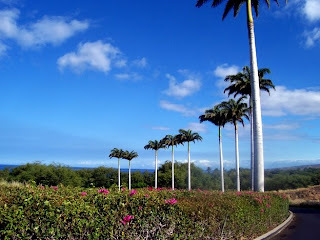 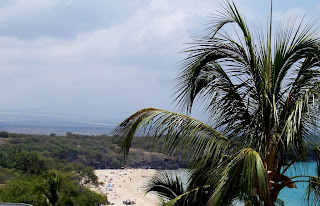 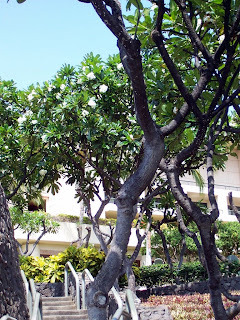 During our stay on the Big Island, we stayed at the Hapuna Beach Prince Hotel. 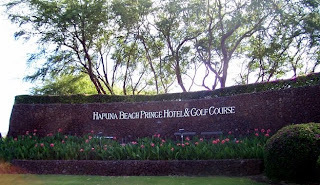 The entrance to the Hapuna Beach Prince Hotel. 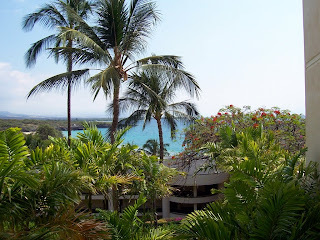 The view of Hapuna Beach from our hotel room. 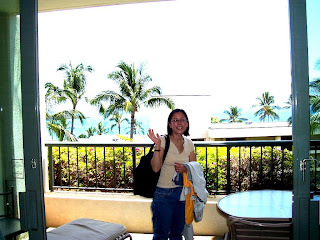 The lanai (balcony) of our room. 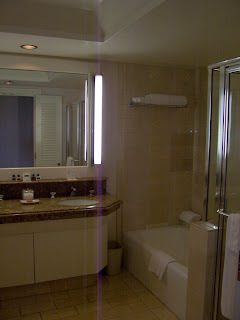 Our room at the Hapuna Beach Prince Hotel. 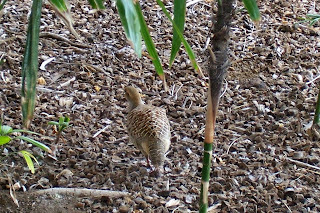 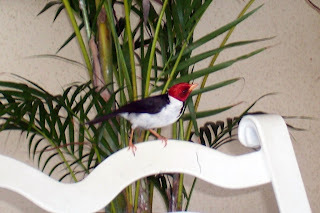 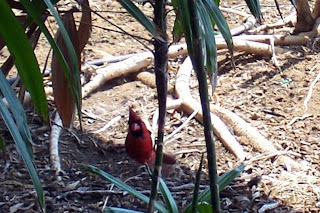 There were all sorts of birds on the grounds of our hotel. 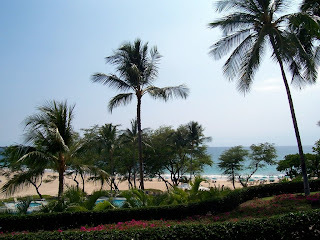 Views of the grounds of the Hapuna Beach Prince Hotel. 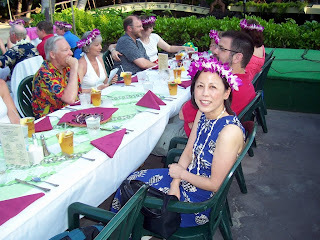 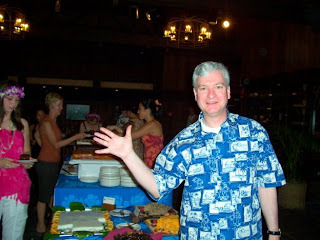 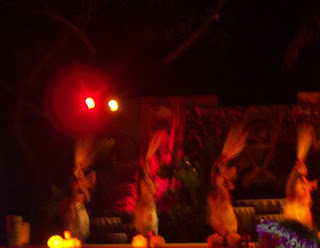 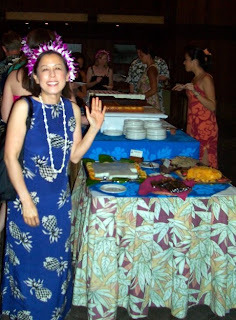 Our first night we went to a luau at the Royal Kona Resort. 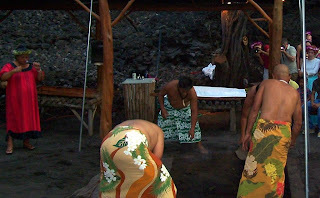 Removing the pig from the underground oven at the Royal Kona Resort luau. 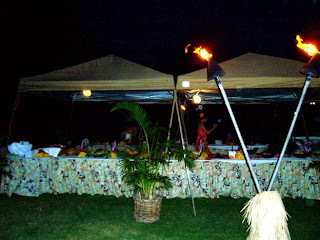 Desert table at the luau.